The quintessential Bangalore event is back! A Green Heritage Walk in Lalbagh followed by an all you can eat breakfast at MTR. The Green Heritage Walk is a fantastic introduction to one of the gems of Bangalore and a fantastic way to start your Sunday! Conducted by Vijay Thiruvady, one of the best walking guides east of Greenwich. This walk includes breakfast at another Bangalore institution, MTR. So, sign up now to reserve your spot! If you’ve always wanted to know more about Bangalore’s green heritage, this is the walk for you. If you know absolutely nothing about trees or nature, you will find this walk fun and eye-opening. 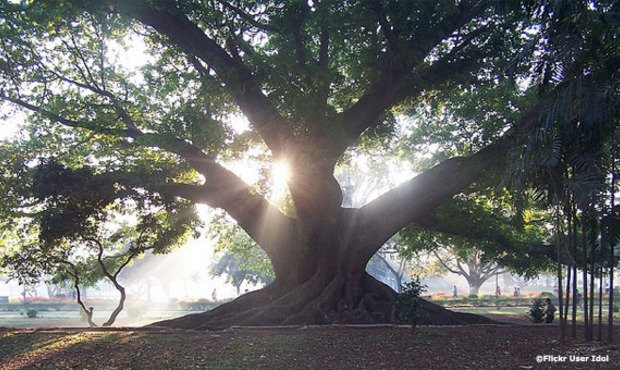 For example, did you know that the rock in Lalbagh is over 3 Billion years old? To feed your ravenous appetite, the walk ends with breakfast at Bangalore’s iconic South Indian eatery, MTR. Casual. Comfortable walking footwear, sunglasses, a hat. Please carry a bottle of water as well.